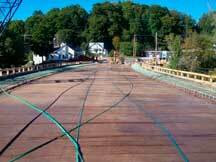 Construction | Burnaby Bag & Burlap Ltd.
Burlap is an effective low cost product used in the process of curing concrete. 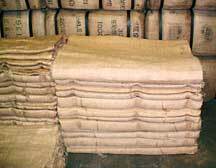 When summer temperatures soar, wet burlap laid on poured cement will slow the drying process, thus increasing the strength and preventing shrinkage. There are other uses for burlap in contruction such as erosion control and temporary fencing or wind breaks. 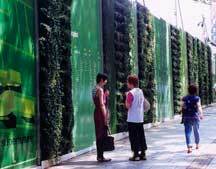 A temporary “living wall” was created using soil filled burlap pockets holding trailing plants for a cover at a contruction site. Bulk bags from polyproylene are useful for moving large quantities of material. 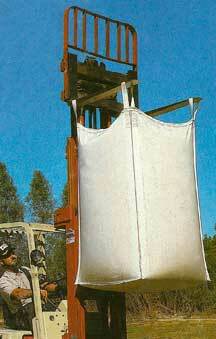 These bulk bags are three dimensional and hold a cubic meter of fill up to 3000 lbs. They come with lifting straps in duffel top or spout top designs and discharge chutes.